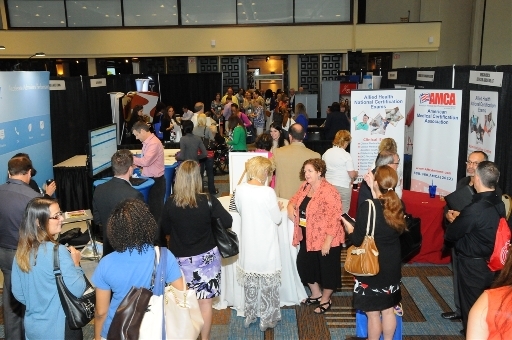 2019 Annual Administrator Conference Exhibit and Trade Show Information - Join FAPSC on the Beach! Join FAPSC at The Diplomat Beach Resort Hollywood, Curio Collection by Hilton. As a product/service provider your participation at the FAPSC Annual Conference is vital and greatly appreciated! Feature your company's products and services by reserving a booth and/or becoming a sponsor. Booth space is available on a first-come, first-serve basis. exposure through the conference program, as well. FAPSC Associate Members are eligible to register at the Member Rate. To verify that your company is a member, search our associate member directory. Each associate member has a username and password which will allow them to log in and receive the member rate. If you have questions about this, please contact the FAPSC office at 850-577-3139. Freight and shipping handling in/out- Please note: The Diplomat does not accept shipped items. Exhibitors must use EXPO. Prizes make everything better! We invite our exhibitors to participate by bringing raffle prizes. FAPSC supplies a process to draw winners names or you may collect attendee information at your booth for prize drawings. This is a fantastic opportunity to leave attendees with a positive impression of your company. FAPSC may also contact you regarding prizes as the date for Conference draws closer. FAPSC loves and needs our sponsors! Sponsors allow the conference to offer more to attendees, which in turn increases your exposure to the very people who are in a position to purchase your goods and services for their campuses. Please consider being a sponsor. More information on specific ways to sponsor can be found here! If you don't see a sponsorship opportunity you like, Kathy can work with your needs! Just call her at 850-577-3139. Click here to Access the 2019 Annual Conference Homepage. Interested in the Golf Tournament? Click here to go to the 2019 Golf Tournament Page.